Asian beauty routines, and more specifically Korean beauty routines, seem to be gaining a larger presence in today’s American media – for example, here is an article on Korean skincare from Allure magazine; here is one from Elle; there is one here from Teen Vogue, one here from Style.com, and one here from Nylon magazine. By far, the least expensive ways to get Korean beauty products is to import them directly from the source – that is, to use either an e-tailer or a buying service like Avecko.com to get your products directly from the country in question. However, that has its drawbacks. Shipping can be prohibitively expensive or painstakingly long (packages can get caught in customs for weeks, depending on external factors; vendors don’t always pack shipments promptly; holidays can cause significant delays). It can be stressful, or feel wasteful, to purchase products that you haven’t tested yet or even looked at in person. Luckily for those of us living in the United States, there are solutions. As Asian beauty, and K-beauty, become more popular, more retailers are looking to catch hold of the market. That means that while you may have to shop at multiple vendors, it is entirely possible to build a skincare and cosmetic routine without having to import a single product yourself. You just have to be willing to shell a little more money out on the front end. Now, if you’re living in a city that has a Koreatown (New York City, Los Angeles, Boston, Chicago, Honolulu, etc. ), you can simply go there and find a flagship store for some of your favorite brands. I was recently in New York City and walked down Korea Way in Manhattan – there was a TonyMoly storefront, and a Skylake storefront as well – and those are only the stores I stopped to take photos of (and peek inside). This post will be mostly for folks like myself, who don’t have a lot of local options in terms of stores dealing directly with these brands. While you may not have a TonyMoly or Club Clio nearby, chances are that you’ll have a Sephora. Or maybe you’d prefer to purchase online, but you want products that are being shipped quickly, within the United States, that have a return policy in case your skin decides that it hates whatever goodies you’ve gotten. Here are some examples of products you can use to build a routine that you won’t have to import. I’ll put in a little note next to anything that I have personally tried, although since I usually import my products there won’t be many of them. Disclaimer: I don’t work for Sephora. I don’t buy many of my beauty products at Sephora (although I did purchase my AmorePacific cushion there back during their VIB sale). I purchase all of my reviewed products with my own cold, hard debit card. Neither I nor this blog are affiliated with Sephora or any of the brands that I’ve included in this list – I just thought this might be a helpful resource to folks who want to get started and aren’t sure which brands they should be shopping. Shop with your best judgment! While Sephora has a greater selection of in-person testers and items than any of my local stores, that doesn’t mean that your store will have the same selection, or that any store will have all of these products. What Sephora does have, however, is a really decent return policy. If you want to try something out in person, head to your local Sephora store and see if they have it. If not, then decide whether you want to have it shipped to you. If you purchase something and it doesn’t work, just bring it back to Sephora or mail it back in- they include a return label with your mailing invoice. We’ll start with cleansing oils – the “first cleanse“. Are you feeling high-end? SK-II has a Facial Treatment Cleansing Oil that will only set you back $70. Shiseido’s Ultimate Cleansing Oil, on the other hand, runs a more reasonable $25. Tatcha has a Camellia Cleansing Oil that costs $48. Let’s say that you’re like me, and your face utterly despises cleansing oils. Try a micellar water instead, like Koh Gen Do’s Cleansing Spa Water, for $39, or belif’s Cleansing Herb Water, $26. Or try Erborian’s Solid Cleansing Oil, $39, which is a balm-type cleanser. On to the second cleanser! Sephora carries belif’s Creamy Cleansing Foam – Moist (for dry skin) or Fresh (for oily skin)for $26. Also available is Koh Gen Do’s Oriental Plants Cleansing Cream, which claims to be a single-step cleanser for $51. Shiseido’s White Lucent Brightening Cleansing Foam will cost you $35. AmorePacific’s Treatment Cleansing Foam is priced at $50. Dr. Jart+ has the AC Pore Minish Cleansing Bubble, $32, which is supposed to unclog pores and control oil production. Although I hate listing products that contain microbeads and pearls (I try to be at least a little eco-friendly), Erborian makes the Creme Scrub Beautifying Exfoliating Pearls, $28. After your face is nice and clean, it’s time to move on. If you want to exfoliate your face, we’ll do that now. If not, skip ahead to toners! Make sure your skin is at the proper pH. Kerry at SkinandTonics has written a great blog post about pH here if you have questions about that. Then it’s time for exfoliation or treatments! AmorePacific has a Treatment Enzyme Peel that’s non-chemical for $60. belif’s First Aid Transforming Peel Off Mask is $34 and includes salicylic acid, a BHA, or you can try their generically named Mild and Effective Facial Scrub for $26. Dr. Jart+ has an at-home two-step peel kit called Pore Medic Derma for $42, or the Black Label Detox Pore Penetrator for $24. Tatcha’s cleansing powders come in three types, each priced at $65: Polished Deep Rice Enzyme Powder (for combination and oily skin), Polished Classic Rice Enzyme Powder (for normal skin), and Polished Gentle Rice Enzyme Powder (for dry skin). Yu-Be has a Foaming Skin Polish for $18 that is a manual exfoliator (non-chemical). Wei has a Golden Root Purifying Mud Mask, $42 with its own applicator brush. Sephora has just started carrying a new (to it) brand called Erborian, and they have a Perfect Morning BB Mask, $32, and a Pate au Ginseng Black Concentrated Mask for $61. The next step is a toner. Unlike Western toners, which tend to be astringent, Asian toners are focused on hydration and prepping your skin for the rest of your skincare routine. AmorePacific’s Treatment Toner is $50. belif has three herbal toners: Eucalyptus (for combo to oily skin), Bergamot (for normal to combo skin), and Witch Hazel (for dry, dull skin), each retailing for $28. SK-II’s Facial Treatment Clear Lotion costs $70, or you can choose their Whitening Source Clear Lotion for $75 instead. After that, you may decide you want to use an eye cream. AmorePacific’s Intensive Vitalizing Eye Essence will set you back $95; alternatively, you can pick up their Rejuvenating Eye Treatment Gel for $85, or their Future Response Age Defense Dual Eye Crème for $150. belif’s Moisturizing and Firming Eye Cream is $48. Shiseido’s White Lucent Anti-Dark Circles Eye Cream is $55, a Bio-Performance Super Corrective Eye Cream for $60, the Benefiance NutriPerfect Eye Serum for $76, or the Ibuki Eye Correcting Cream for $40. SK-II makes a Signs Eye Mask for $115 (the box comes with 14 sets of masks – so it’s a two week supply if you use them every day), or the Essential Power Eye Cream for $125. Chinese brand Wei has two types of eye treatments: the Dragon Blood Lifting Pads, $60 for 10, and the Tibetan Chrysanthemum Correcting Treatment Pads, $60 for 10 sets. TonyMoly has the Panda’s Dream So Cool Eye Stick, $10, which is targeted to moisturize and cool the areas around the eye, de-puffing them and minimizing line appearance. Let me add some commentary for a minute. If you want to purchase an eye cream, and you have the funds to pick one of these up, go ahead and treat yourself! But if you’re sitting on the other side of this screen, worrying that you’re missing a step in your routine that you can’t afford, don’t worry. It’s true that the skin around your eyes is a little thinner than on the rest of your face, and that it doesn’t have the oil glands to keep it moist that the rest of your skin does. But using your regular cream around your eye area (as long as there aren’t any potentially eye-irritating ingredients in it, like sunscreen) can fill the gap if you’re not willing to shell out the cash. Or you can also head over to other retailers and e-tailers and pick out an eye cream that is suited to your budget. Heaven knows I can’t afford to purchase any SK-II products! Ok, back to our Sephora routine. Next step: sheet masks! Sheet masks are ubiquitous in Asian Beauty, and they’re quickly becoming more popular in American pop culture as well. AmorePacific ($120 for 6), Dr. Jart+ ($7.50 and up), Shiseido ($63 for one retinol mask or $68 for six White Lucent masks), SK-II ($17 for one mask and upwards), TonyMoly ($7.50 for 2), and Karuna ($8) each make sheet masks that you can purchase through Sephora. Okay, folks, here is where it gets complicated. The next step is serums, essences, and ampoules. One of the nice things about Asian Beauty (or the more irritating, if you like paring things down to a minimum) is that the focus is really on layering lots of products so that you come up with a routine that is customized for your skin needs. That means that serums, essences, and ampoules will often have one or two specific targets – redness, dullness, acne, hydration, smoothing, lifting, etc. – and you choose the product you want based on what you hope to get out of your products. There’s no hard and fast rule for how many products you are allowed to have – only that you use what works for your skin. So I’ll try to list all the serums, essences, and ampoules (man I’m going to get tired of typing that) and note what they’re claiming to do. I’m going to set this out by brand, just to try and make this a little easier to look through. Hungarian Water Essence, $42, is a lightweight hydrating essence. Hydra Sebum Control Essence, $42, is not actually made by Hydra (look Dad, a Marvel joke), but is intended to hydrate and provide a matte finish to minimize pores and reduce shine on your skin. Classic Essence Increment, $46, is geared towards treating dry and weakened skin. Elixir au Ginseng Youth Micellar Emulsion Essence, $115 for one ounce, for anti-aging and the reduction of wrinkles and fine lines. Oriental Plants Essence, $85, is a hydrating serum. It is artificial fragrance-free. Eudermine Revitalizing Essence, $56 for 4.2 ounces, is an intense hydrator designed to help alleviate dryness issues caused by changes in climate. Essential Power Essence, $125 for 1 ounce, is designed to diminish pore appearance and improve the firmness of skin. Cellumination Aurabright Illuminating Essence, $160 for 1 ounce, is meant to provide radiance to the complexion. Here’s a tiny sample of the essence I got last time I shopped at Sephora. I haven’t tested it extensively yet, but I can say it’s strong – it stings on dry skin and did cause some peeling the next day, but I did notice more brightness. Rejuvenating Serum, $100, for anti-aging, anti-wrinkle, and reduction of age spots. Eye area safe. Luminous Effect Brightening Serum, $160.00, for brightening, removal of dark spots and hyperpigmentation. PoreMedic Pore Minish Serum, $40, to prevent sebum and skin impurities for a smoother, less oily complexion. Premium Time Returning Serum, $54, for skin repair and wrinkle repair. This product contains snail mucin, which is a pretty popular ingredient. Ceramidin Liquid, $39, to plump the skin, remoisturize it, and repair the skin’s moisture barrier. Future Solution LX Ultimate Regenerating Serum, $225 for 1 ounce, for anti-aging. Future Solution LX Superior Radiance Serum, $225 for 1 ounce, for smoothing texture and evening skintone. Bio-Performance Glow Revival Serum, $89 for 1 ounce, for treatment of discoloration, redness, and dullness. Bio-Performance Super Corrective Serum. $80 for 1 ounce, for treatment of wrinkles, sagging, and dullness. White Lucent Total Brightening Serum, $125 for 1 ounce, for treatment of dullness, dark spots, and for brightening. Ultimune Power Infusing Concentrate, $65 for 1 ounce or $95 for 1.6 ounces, for protection against aging, environmental factors, and daily stress. This product is designed to be used first if you are using multiple serums. Signs Up-Lifter, $270 for 1.3 ounces, is designed to tighten the skin and improve elasticity around the eyes, mouth, and jaw. Ultimate Revival Serum, $325 for 1.6 ounces, is designed to assist with skin regeneration and contains rose absolute. Wrinkle Specialist Moisturizing Serum, $180 for 1 ounce, is supposed to help with reducing the appearance of wrinkles and create a smoother complexion. It contains retinol. Power Brightening Specialist, $140 for 1 ounce, is targeted towards age spots and skin brightening. Facial Treatment Repair C, $170 for 1 ounce, is designed to reduce the appearance of fine lines. None of the Sephora brands that I’ve seen seem to have ampoules listed in their stock. Okay, we’ve got that last step done! Now it’s time for an emulsion. In American terms, that’s a light cream. If you’re oily, this may be the last big step you need to do, and a gel emulsion might be perfect for you. If you’re dry, I know this won’t be enough – don’t worry, there’s more! You should probably avoid the gel-type emulsions, as they may make it more difficult for your cream to absorb – or you can always mix your routine around and do your cream first, and then the gel emulsion later, if you find one that you really want. Koh Gen Do’s All In One Refresh Spa Aloe Gel, $50, is a gel-type emulsion. It contains tea tree oil, which I have personally found to be a helpful ingredient when dealing with skin impurities. They make an Oriental Plants Lotion I, $54 to $99 depending on size, for combination to oily skin types, and the Oriental Plants Lotion II, same pricing, for dry to combination skin types. AmorePacific’s Moisture Bound Refreshing Hydra-Gel Oil Free is $100 for 1.7 ounces, and is also a gel-type. belif makes the True Cream Aqua Bomb, $38 for 1.68 ounces, that is called a gel-cream. I’ve tried a sample of this cream, and it’s pretty nice – a little scented but not too bad, and it absorbs pretty quickly. Shiseido is busy in this department. Their Pureness Matifying Moisture Oil-Free is $33.50 for 1.6 ounces and reduces shine for oily, combination, and acne-prone folks; their Ibuki Refining Moisturizer, $45 for 2.5 ounces, is designed to repair uneven skin tone while moisturizing; their White Lucent All Day Brightener, $57 for 1.7 ounces, is meant to moisturize and brighten throughout the day; their Pureness Moisturizing Gel Cream, $33.50 for 1.4 ounces, provides a smooth texture and a dewy finish for normal and combination skin; the Wrinkle Resist 24 Day Emulsion, $53 for 2.5 ounces, is designed to protect skin from external aging factors, and has an SPF of 18; the White Lucent Brightening Protective Emulsion, $54.50 for 2.5 ounces, contains Vitamin C to brighten and is also designed to protect skin from external aging factors, with an SPF of 18; their Future Solution LX Total Protective Emulsion, $240 for 2.5 ounces, is designed to improve skin quality overall and boost resistance against environmental damage. Dr. Jart+ offers a Ceramidin Cream, $48 for 1.6 ounces, and the Water Fuse Water-Sure Gel, $38 for 1.7 ounces. Do you have spot issues? If so, you can pick up a spot treatment. belif has a Tea Tree Oil treatment, $26, for helping with blemishes. After everything else has sunk in, it’s time for a cream. If you’re really oily, you may want to skip this step. Koh Gen Do’s Oriental Plants Cream, $68 – $120, contains shea butter and squalane. AmorePacific’s Future Response Age Defense Cream, $195, is targeted towards anti-aging, and comes in two types: regular and with SPF added; their Rejuvenating Crème is $150. 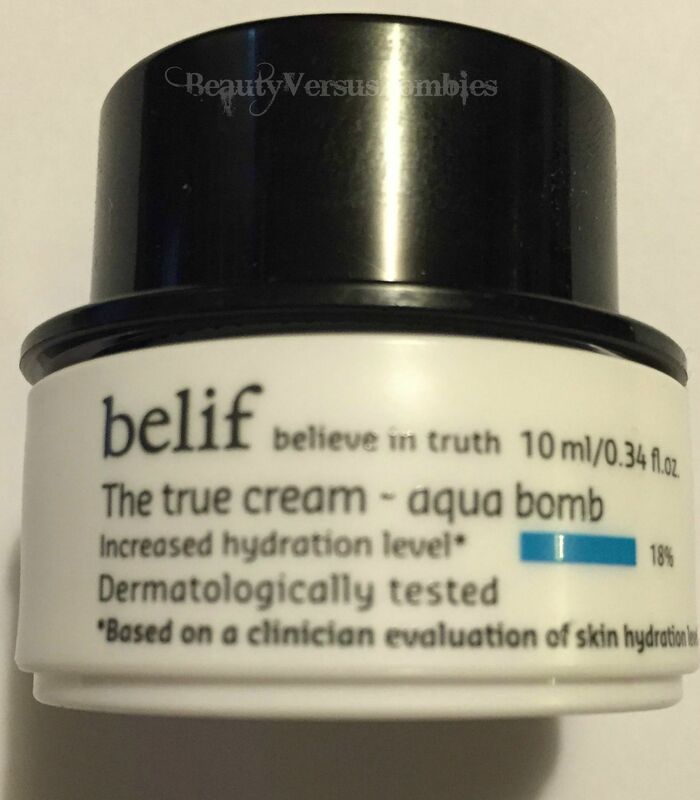 belif has the True Cream Moisturizing Bomb, $38 for 1.65 ounces. Shiseido, once again, has a billion things to choose from: their Bio-Performance Advanced Super Revitalizing Cream, $75 for 1.7 ounces, is for wrinkle prevention; the Benefiance WrinkleResist24 Day Cream, $53 for 1.8 ounces, protects against external aging factors and has an SPF of 18; the Bio-Performance Advanced Super Restoring Cream, $99 for 1.7 ounces, is meant to correct wrinkles and firm skin; the Ibuki Refining Moisturizer Enriched, $45 for 1.7 ounces, is designed to combat blemishes, visible pores, and skin texture issues; the Bio-Performance Advanced Super Revitalizer Cream Whitening, $98 for 1.7 ounces, is geared towards promoting a clear complexion. Yu-Be’s Moisturizing Skin Cream is $16 for 1.25 ounces. Dr. Jart+ makes a Ceramidin Oil Balm, $35 for 1.4 ounces, that starts as a balm and becomes an oil treatment for exceptionally dry skin, and the Premium Time Returning Cream, $58 for 1.7 ounces, that is anti-wrinkle and contains snail mucin. The last step at night is going to be your sleeping pack or night moisturizer, if you choose to use one. Again, if you have really oily skin you might just want to pass on this. Koh Gen Do makes an Oriental Plants Night Moisture Mask, targeted towards anti-aging, for $90. AmorePacific has their Moisture Bound Sleeping Recovery Mask for $60. belif has two overnight masks: the First Aid Anti-Hangover Soothing Mask, and the First Aid Overnight Brightening Mask, both at $34. Shiseido’s Future Solution LX Total Regenerating Cream, $260 for 1.7 ounces, is anti-aging; their White Lucent Brightening Cream, $59.50 for 1.7 ounces, is meant to brighten and repair daily UV damage overnight; the Benefiance NutriPerfect Night Cream, $94 for 1.7 ounces, is geared towards more “mature” skin to restore firmness and skin density, but it is a fragranced product. SK-II’s Skin Refining Treatment, $160 for 1.6 ounces, is designed to remove dead skin cells overnight for a clearer complexion. Dr. Jart+ makes the Premium Firming Sleeping Mask, and the Water Fuse Water-Max Sleeping Mask, each at $48 for 1.75 ounces. Erborian has a Bamboo Waterlock Mask, $43, that works either as a wash-off mask at the end of the day, or an overnight sleeping maks. Here are some interesting products that you can add in to your routine in different ways. Say your new routine just isn’t quite enough for your dry or dehydrated skin. Add in AmorePacific’s Green Tea Seed Treatment Oil, $195, to your cream or put it straight on your skin. Or if that’s too rich for your blood, you can try belif’s Aqua Gel Oil, $48, which starts as a gel and then becomes oil. Don’t want to use too many products at once? Koh Gen Do’s All In One Moisture Spa Gel, $55, claims to be a one-step skincare routine. They also make an Oriental Plants Soap, $55, and an Oriental Plants Balm, $50, for areas like your elbows and heels if you want to take your skincare game past your face and onto the rest of your body. (I don’t like to use bar soap on my face – I always worry that there’s dust and dirt collecting on the bar when I’m not using it. This product is safe for facial use, though, if that’s your jam.) Yu-Be has a Moisturizing Body Lotion, $29 for 10.25 ounces, and TonyMoly has hand creams for $12 in Peach, Apple, and Tangerine. Dr. Jart+ has a Ceramidin Lipair, $15 for 0.14 ounces, for lip treatment. But wait! I don’t only do skincare at night – do you? So let’s add in some stuff for during the day. Obviously, you won’t be using the sleeping pack. Let’s put in a sunscreen instead. AmorePacific has their Resort Collection Sun Protection Stick, $40 for 0.24 ounces, that is SPF 50+. I’ve never used a stick sunscreen – that seems interesting to me! I wonder how you make sure you’ve applied enough? For those of us who aren’t into the stick thing, they also make the Natural Protector, $60 for 2 ounces, that is SPF 30/PA+++ and oil-free. If you want to be really on trend, they make a cushion sunscreen called the Resort Collection Sun Protection Cushion that is $40 for 0.52 ounces, and SPF 30+. Shiseido has a ton of sunscreens: their Sun Protection Stick, $28 for 0.31 ounces with SPF 37 (this stick thing is really intriguing me), a Sun Protection Lip Treatment, $22 for .14 ounces with SPF 36/PA++; Extra Smooth Sun Protection Lotion, $34 for 3.3 ounces with SPF 38/PA++; the Wetforce Ultimate Sun Protection Cream, $36 for 2 ounces, has SPF 50+ and becomes most effective when in contact with water; the Ultimate Sun Protection Cream is $35 for 2.1 ounces, has SPF 50+, and claims to be both water and sweat proof; the Ultimate Sun Protection Spray, $36 for 5 ounces, is a spray bottle applicator with SPF 50+ and claims to be oil, sweat, and water resistant. Some of the Shiseido sunscreens are available in the sizes listed for facial application, but come in larger sizes if you want to use them on your body as well. If you find yourself needing a quick pick-me-up during the day, you can also invest in a facial mist. AmorePacific’s Moisture Bound Skin Energy Hydration Delivery System (what a mouthful!) is $35 for 2.7 ounces. TonyMoly has the Pocket Bunny Mists, $15, in two versions: Sleek (for oily skin) and Moist (for dry skin). I’ve used the Sleek mist before, and I found it to be pretty helpful at mid-day – it was pretty refreshing and did a good job keeping me less oily for the rest of the afternoon. He’s a little dinged up from living in my purse. And now for some (more) fun stuff: Makeup! The first step: Primer. Touch In Sol’s Feel Like Honey Moon Skin Base is $24 for 1.12 ounces, and contains honey, collagen, and vitamins. I’m currently testing this one, so there will be a review up on the blog later, but I feel pretty confident about saying you should avoid this product if you want a matte finish, or if you’re really oily. TonyMoly has the Panda’s Dream Brightening Eye Base, $12, intended to brighten the skin and serve as a primer at the same time. Koh Gen Do’s Makeup Color Base, $48 for 0.88 ounces, comes in three types: pink for brightening, yellow to cover pores and fine lines, and pearl for luster or highlighting. Shiseido does a Refining Makeup Primer, $30 for 1.1 ounces, and a Glow Enhancing Primer, $30 for 1 ounce. After primer comes concealer. Shiseido makes a pen-type Sheer Eye Zone Corrector for dark circles using color correcting technology, $30 for 0.14 ounce in 6 colors. They also have a Perfecting Stick Concealer, $25 for 0.17 ounce, which comes in 6 colors. Once you’ve finished concealing (if you need to), we move on to foundation. We’ll start with cushions, because they’re my favorite. 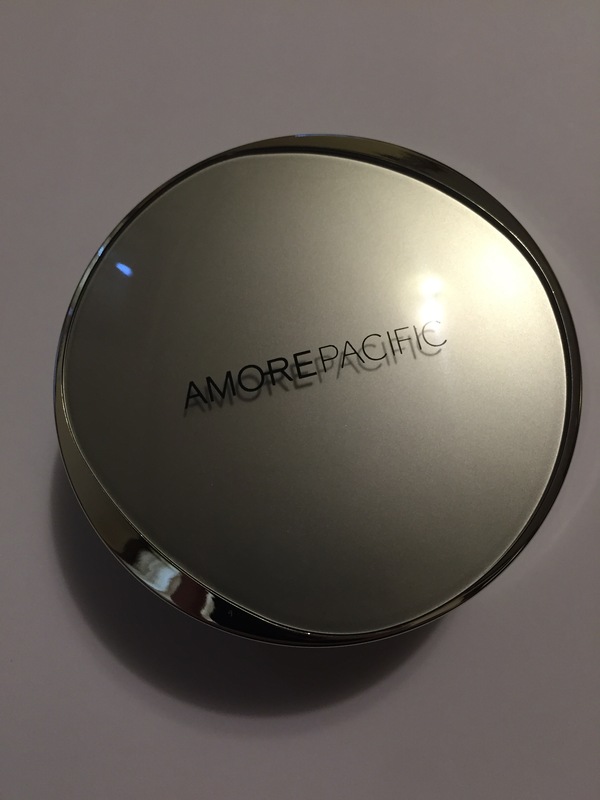 AmorePacific’s Color Control Cushion is a CC cushion, costs $60, and comes in four colors. You can find my review of it here, along with some comparisons to similar products. Dr. Jart+ has the BB Bounce Beauty Balm, $48 for 0.4 ounces, in two colors (light and medium), and the CC Essence Balm, $42 for 0.42 ounces, which comes in two colors. That last one is not quite a cushion, but it does come in a compact, so I’m putting it in that category rather than with the tube or pump products. On to regular types of foundation. AmorePacific makes the Moisture Bound Tinted Treatment Moisturizer, $70 for 1.6 ounces. It comes in four colors, although none of them seem suited for darker skin. Erborian has a CC Creme, $44 for 1.5 ounces and in one color, and a BB Creme, $39 for 1.5 ounces and in two colors, both very fair. Dr. Jart+ does a Water Fuse Smart Gel BB cream in two colors up to what they call “tan olive”, $36 for 1 ounce; a BB Night Beauty Balm, $38 for 1.7 ounces, that you can apparently use both day and night; a BB Radiance Beauty Balm with SPF30, $42 for 1.5 ounces, only available in one color (fair to light); the Water Fuse Beauty Balm, $34 for 1.7 ounces, SPF 25/PA++, which comes in only one color that seems to be exceptionally light but that they call “universal”; the Ceramidin Day Tint, $48 for 1.7 ounces, that is SPF 15 and only comes in light beige; the BB Dis-A-Pore Beauty Balm, $36 for 1.7 ounces, which treats pores and blemishes, has SPF 30, and only comes in “fair-to-light”; the Black Label Detox BB Beauty Balm, $36 for 1.5 ounces, which is designed to prevent aging, hide and reduce uneven skintone and blemishes, has SPF 25, and comes in “light to medium”; and the Premium Beauty Balm, $39 for 1.5 ounces, which has SPF 45, claims to be an all-in-one moisturizer, sunscreen, and treatment serum, and comes in two colors, “light to medium” and “medium to deep”. Koh Gen Do’s silky moist foundation seems to come in two parts: the compact, $15, and the compact refill, $52 for 0.32 ounces, which comes in 6 colors (although none of them are very dark). Koh Gen Do also does liquid foundation: the Aqua Foundation is SPF 15/PA++, $62 for 1.01 ounces, and comes in 7 colors; and the Maifanshi Moisture Foundation, $62 for 0.71 ounces, which comes in 9 colors. Shiseido seems to be doing the same weird compact thing that Koh Gen Do is doing: their Compact Case is $10.50, but then you purchase the refills for it: the Sheer Mattifying Compact, $30, is a powder-type foundation available in 13 colors; the Advanced Hydro-Liquid Compact, $30, is a cream foundation available in 15 colors. Shiseido’s Makeup Perfect Smoothing Compact, $31, is a powder foundation with SPF available in 10 colors (buy the case separately for $9). The Makeup Powdery Foundation is $29.50, a powder foundation, and available in 10 colors (case sold separately for $8 here); the Sheer and Perfect Compact is a light coverage, color correcting powder foundation available in 18 colors for $30 (again, you have to buy the case separately for $8.50 here); the UV Protective Compact Foundation is another powder foundation, said to be sweat and oil resistant, with SPF 36, available in 9 colors, for $28 (plus the cost of the case, $8, which is here). For liquid foundations, Shiseido has the Sheer and Perfect Foundation, $35 for 1 ounce, with SPF 18, available in 18 shades for sheer coverage and color correction; Radiant Lifting Foundation, $45 for 1.2 ounces that reflects light with SPF 17, available in 18 colors; Makeup Dual Balancing Foundation, $38.50 for 1 ounce that is oil-free and moisturizing, available in 10 colors; the Perfect Hydrating BB Cream, $35 for 1.1 ounces with SPF 35, available in 3 colors (light, medium, dark); the Urban Environment Tinted UV Protector, $32 for 1.1 ounces with SPF 43, available in 3 colors (1, 2, and 3, which is super helpful and descriptive – spoiler: none of these shades are particularly dark) and water resistant; the UV Protective Stick Foundation, $28 for 0.31 ounce with SPF 37 coverage that is apparently sweat, oil, and water resistant; and the Makeup Stick Foundation, $38.50 for 0.38 ounce, for medium coverage with SPF 15-18, available in 6 pretty light colors. This is a pink-tinged, clear gel with shimmer in it. It is scented, and kind of heavy for the face – I definitely wouldn’t recommend it for oily skin at all. A little bit goes a long way. If you want to set things more firmly in place, or want a more matte look, you can add on some powder. Koh Gen Do makes two powders that are available at Sephora: Face Powder in Jar, $42 for 0.42 ounces, which is translucent, and Natural Lighting Powder, $42 for 0.42 ounces, meant to camouflage skin tone imperfections. Shiseido makes a Translucent Loose Powder, $35 for 0.63 ounce, and a Translucent Pressed Powder, $32 for 0.24 ounce. If you’re the kind of person that does more than just maintain their eyebrows through regular styling, now is the time to use eyebrow products. Chosungah22 has the mascara-style Dong Gong Minn Brow Maker, $22 for 0.33 ounces, in four colors: Light Blonde, Grey Brown, Medium Blonde, and Black Brown. Shiseido makes a powder Eyebrow Styling Compact, $30, available in Light, Medium, and Deep Brown. Touch in Sol makes two brow products: the Brow Gellin Gel Eyebrow Styler, $22, which is an angled brush that disperses gel color for a more natural finish, and the Browza Super Proof Gel Brow Pencil, $19, available in three colors as an automatic pencil with a spoolie on the end. Sephora’s game is kind of limited when it comes to eyeshadow. They carry Shiseido’s Luminizing Satin Eye Color Trios, $33, which are available in 13 sets. If I were to purchase one for everyday wear, it would likely be Strata. Shiseido also has the Shimmering Cream Eyeshadow Color, $25 for 0.21 ounces, available in 18 colors, all of which appear to have the shimmer for which they are named. The pickings aren’t much better when it comes to eyeliner. Shiseido has the Makeup Accentuating Cream Eyeliner, $26, only available in black but comes with its own mini brush; the Smoothing Eyeliner Pencil, $20, in black and brown (this is not an automatic pencil, you will have to sharpen it); and the Automatic Fine Eyeliner, $29, in black and brown. Touch in Sol makes the Style Neon Super Proof Gel Liner, $16, in 5 shades, four of which are neon (the last is a basic black). The last step of eye makeup is mascara. Shiseido’s Eyelash Curler, $29, is apparently a game-changer for people. Everyone seems to go nuts over it. I’ve never used an eyelash curler, so I can’t say anything in particular about it, but I thought that was some useful information to have. Shiseido also makes the Full Lash Serum, $25 for 0.21 ounces that supposedly will thicken your lashes and brows, the Nourishing Mascara Base, $24, and the following mascaras: the Perfect Mascara Defining Volume, $24 for 0.25 ounce for volume and separation in black and brown; the Perfect Mascara Full Definition, $24 for 0.29 ounce, for volume, separation, and length in black and brown; and the Full Lash Volume Mascara, $25 for 0.29 ounce, for a natural fan curl with a soft look in black and brown. Touch In Sol makes two mascaras: Stretchex Stretch Lash Effect Mascara, $22 for 0.24 ounce, designed to give length, and Paper Pusher Stretch Fiber Lengthening Mascara, $22 for 0.21 ounce, which uses paper fibers to add length. Add some color to your face with some blush. Koh Gen Do’s Cheek Color, $35 for 0.1 ounce, is a puff applicator in a jar and comes in three colors. Shiseido’s Luminizing Satin Face Color is a powder blush, $30 for 0.22 ounce, and comes in four colors. Touch in Sol makes the Technicolor Lip and Cheek Tint, $22 for 0.16 ounce, and it comes in 6 colors. Last step, guys! Lip color. Koh Gen Do’s Maifanshi Lipstick is $35 for a 0.12 ounce tube and comes in four colors (Light Beige, Red Pink, Fresh Pink, and Rose Red). The Maifanshi Lipgloss, $26 for 0.21 ounces, comes in matching colors. 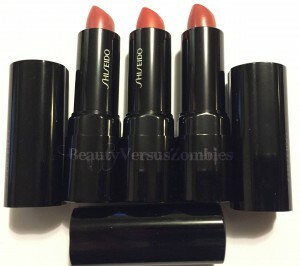 Shiseido has several lip products: the Smoothing Lip Pencil, $20, comes in 10 colors; the Lacquer Rouge, $25 for 0.25 ounce, comes in 24 colors in a variety of finishes and has a doe-foot applicator; the Lacquer Gloss, a sheerer version of the Lacquer Rouge that comes in 8 colors, all of which appear to have shimmer; the Veiled Rouge, $25 for .07 ounce in 8 colors that all look a little frosty; the Shimmering Rouge, $25 for .07 ounce in 11 sheer colors; the Luminizing Lip Gloss, $22 for 0.25 ounce; and the Perfect Rouge, $25 and available in 25 shades. I have the Perfect Rouge in three shades: RD732 Blush, RD142 Sublime, and RS306 Titian. They are very pigmented, but at the same time pretty moisturizing. And, as I mentioned up above when we were talking about blushes, there’s Touch In Sol’s Technicolor Lip and Cheek Tint as well, and also their One Second Vivid Lip Crayon, $16, although depending on where you work I don’t know that the four available colors are appropriate. 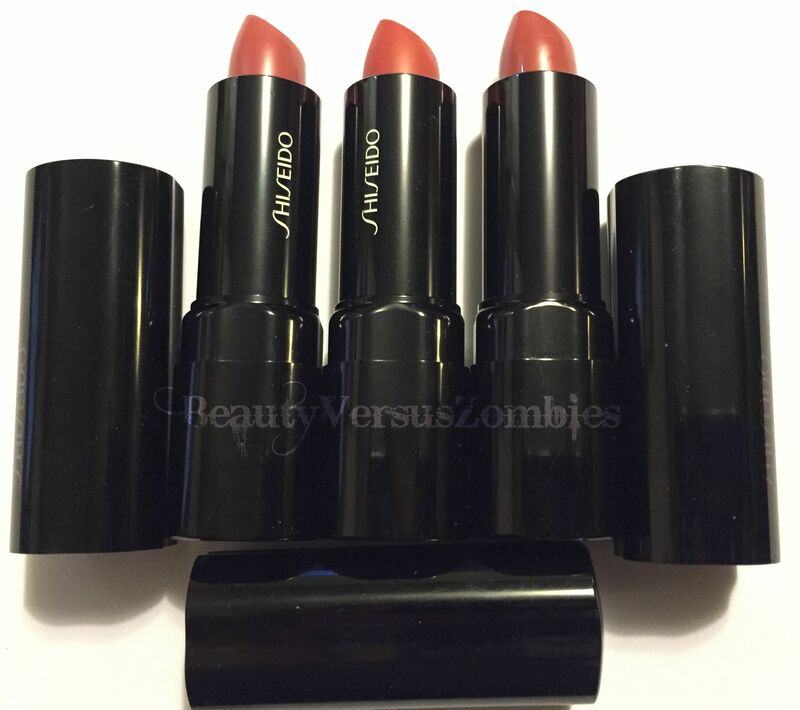 Yes, these are three fairly similar shades. That’s one thing you should watch out for when shopping for a Perfect Rouge – look for swatches online first if you are going to buy more than one. 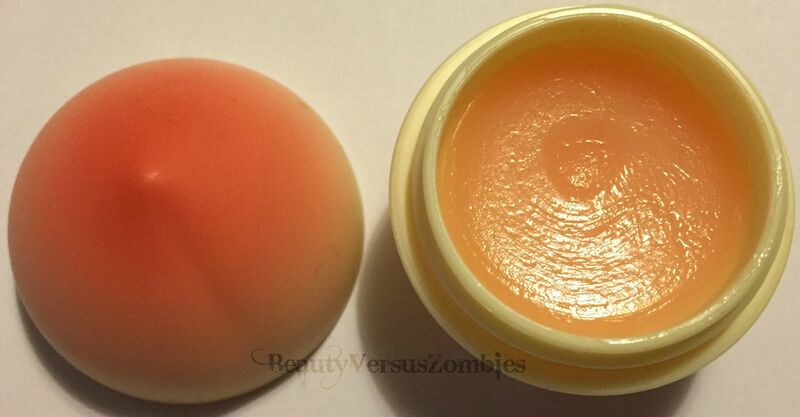 If you want a balm, TonyMoly has two types: the Bbo Bbo (Kiss) Lip Balm, $9, which comes either in Blueberry or Honey flavors; and the mini fruit lip balms, $8, which come in several varieties: Peach, Cherry, and Blueberry. I have the peach one; it’s decently moisturizing and seriously fragranced. It’s not flavored, though. If you are looking to create an Asian-inspired beauty or skincare routine, and you don’t want to import your products, shopping at Sephora is one way to go. However, the selection of brands at Sephora tends to run more towards the high-end, so it’s not going to be nearly as affordable as it would be to buy things directly from overseas. Sephora has a lot of really nice-looking products, but if you find after looking through this guide that these products are over your budget, there are other alternatives – and I’ll be writing guides for that later! If you’ve tried any of these products and want to talk about how well (or not) they work, or if I’ve overlooked a brand or product that you love, leave a comment and let me know! 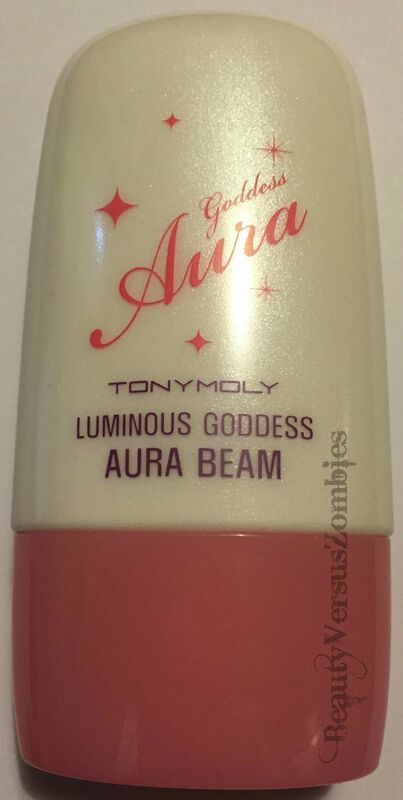 This entry was posted in budget, guide, makeup, routine, shopping, skincare by BeautyVersusZombies. Bookmark the permalink. Great blog post about Korean skincare! Thank you for all this information. You helped me find a toner and lip balms! I’m glad to hear it! I hope they work out really well for you. Let me know what you think of them once you’ve used them!